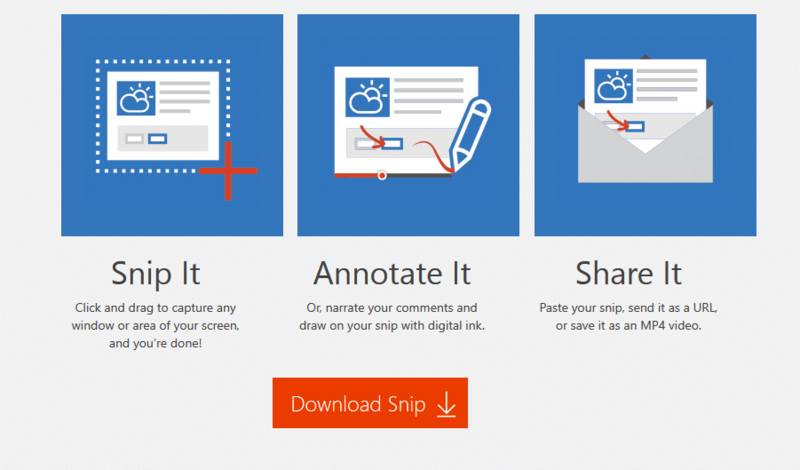 Microsoft garage have launched a free tool named snip. 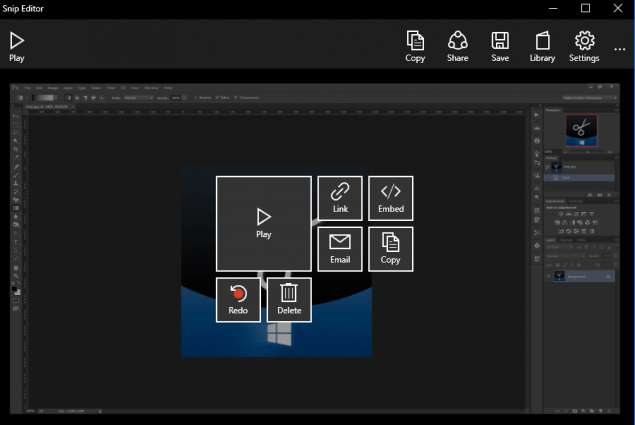 Although you can easily press printscreen and take a screenshot and microsoft had already provided snipping tool and inbuilt gamebar to windows users, this tool do a bit more. You can actually record an audio which will get attached with it and also annotate on the screenshot. Now, this is really cool. Lets say you are attaching a screenshot of a flowchart or a diagram to your colleague, now you can draw arrows, encircle important points and narrate in your own voice to make the screenshot ultra informative. Lets you want to send a map to your place to your friends, Isn’t it better if you attach your directions in audio describing how to reach there while annotating important places in path. Another great feature is that you can share the screenshot on facebook or email as it will be uploaded (Optional – You can save the file locally also) to snip website. You can also embed the video on any webpage or anywhere as it can be embedded just like an youtube video. For using first of all go and download Snip. 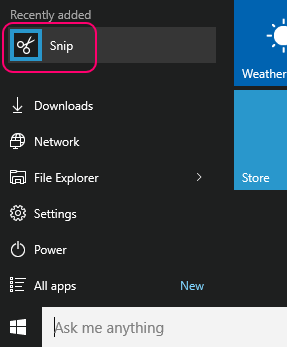 When snip is installed, just start snip. Now, when snip is open, just press print screen and drag to select a portion you want to take screenshot of. Note that if you just click anywhere, full screenshot is captured. The screenshot captured opens in the snip panel. 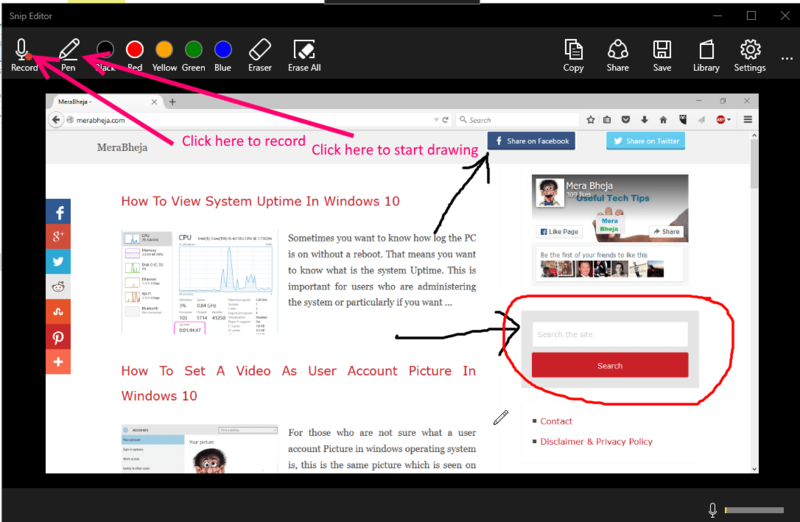 Now, here you can draw annotation, lines, figures and also attach narration recorded in your own voice. Now, the recorded clip is in mp4 by default. Note that, you can save it locally or share this on mail or facebook. You can also copy the link and send it anywhere to share the video. The video in this case is uploaded to http://mix.office.com. You can also choose to save it in your PC only. You can also copy the embed code to embed the video in any webpage easily. Just click on the library icon at the top right to reach the previously taken screenshots. If they are not saved locally, then will open via web from microsoft servers. Now, this can be quite useful for sharing helpful info based screenshots to each other. Note that this will work in windows 7 /8 and 8.1 also.